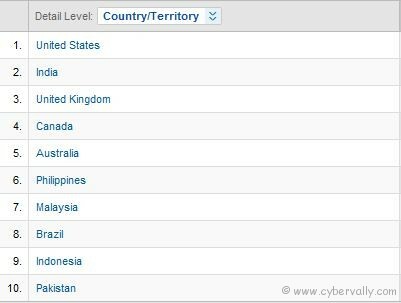 CyberVally is a popular blog which was started in 2010. On CyberVally we share news and views about the latest technology. CyberVally is focused on making technology easier for the masses and we regularly write about tips and tricks and useful how to, mobile news, gadgets news and more. Also it shares blogging and Social media tips for bloggers and social media enthusiasts. Most of our readers are from search engines and we are growing steady and attracting visitors by unique and fresh content. We are getting 60% off traffic from United States.